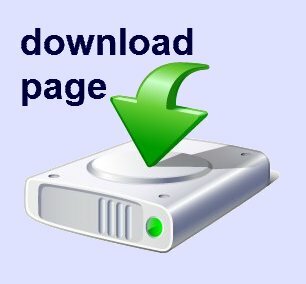 Tutorial: how a relay works, and its control from a microcontroller. When designing an ON-OFF control project with a microcontroller, a relay is commonly used to activate devices such as lamps, motors, valves, pumps, contactors, etc. 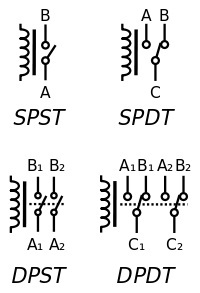 The relay most frequently used is the electromagnetic type, as shown in the photo above: this relay works with direct current and is called a single pole, double throw (SPDT). This will be explained below with more detail. For applications not requiring high frequency switching, an electromagnetic relay is the one, because it has maintained its low cost, and allows easy handling of inductive loads (as would be motors). Moreover, the acustic feedback generated upon activation helps technicians locate faulty devices. When the application requires switching operation at high frequencies, as in a PWM control (for example the control of motor speed), then solid-state relays should be used. 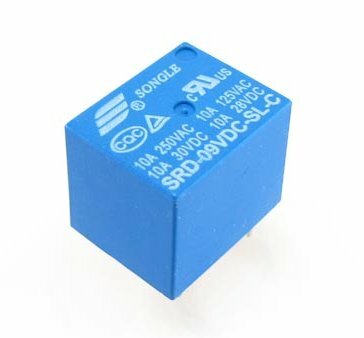 The photo on the left shows a relay similar to SRD- 09VDC SONGLE without its plastic case. It consists of 2 parts: the solenoid (coil) and the armature. The coil is a copper wire winding on an iron core. When energized by a direct current, it generates a magnetic field which attracts the armature to its "Closed" position. 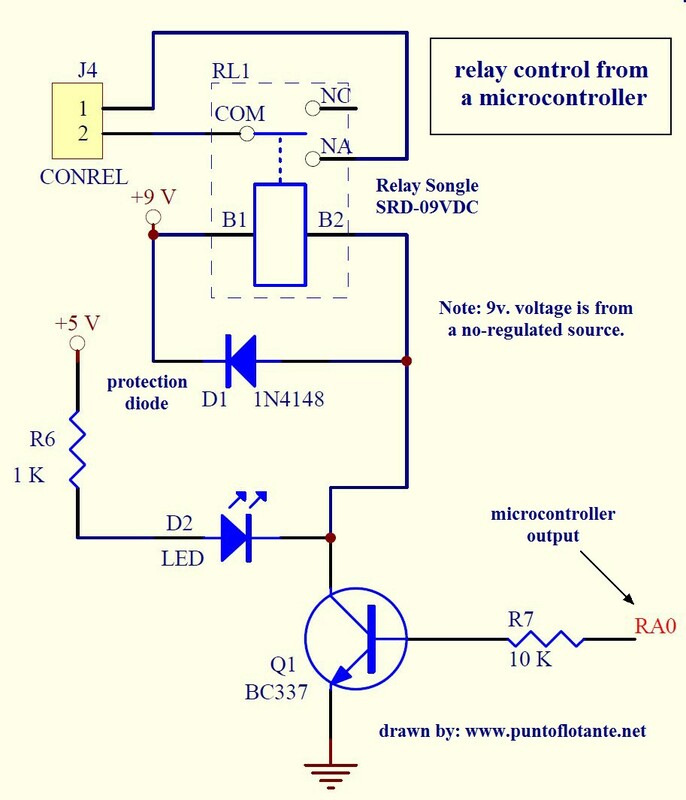 A microcontroller can activate the relay through any of its output pins, with a circuit as shown in the diagram below. 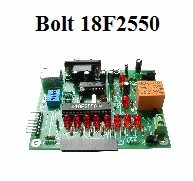 The relay coil is energized by means of a transistor which acts as a current amplifier and has its base connected to the output of the microcontroller, in this case, RA0. Typically added to the relay control circuit, there is a witness led (D2) to visually verify the state of the relay, and a protection diode (called free-wheeling), which absorbs the peak current generated in the coil of the relay when energized or de-energized. Without this diode, the transistor would be exposed to surge and eventually fail. ELECTRONIC DIAGRAMS FOR DIFFERENT TYPES OF RELAYS. 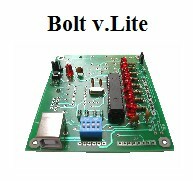 The relay shown in the electronic diagram above, is a SPDT (single pole, double throw) type. Some of the distint types of relay contacts are shown in the image at left. For a SPDT relay, when the device is off, there is a normally closed (BC), and a normally open (AC) contact. When the relay is activated, the contacts change their position, closing and opening contacts AC, BC respectively (see left image). The relay coil is typically activated by an unregulated voltage to avoid electromagnetic noise induced on the regulated supply of the microcontroller. 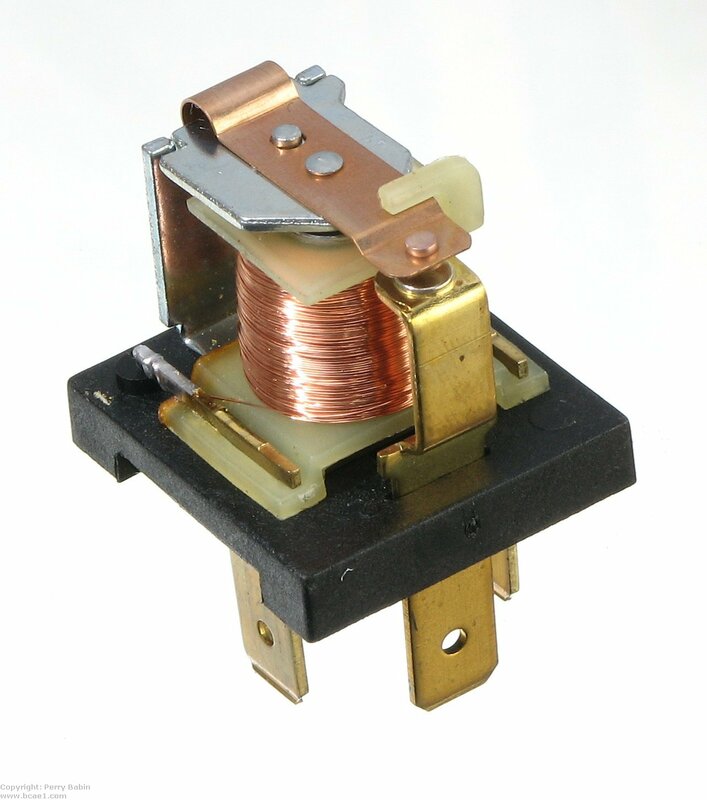 To specify a relay, you must provide the coil voltage, the capacity of the contacts, and the number of poles and throws. Capacity of contacts: 10 amp @ 127 VAC. Type: SPDT, single pole, double throw.